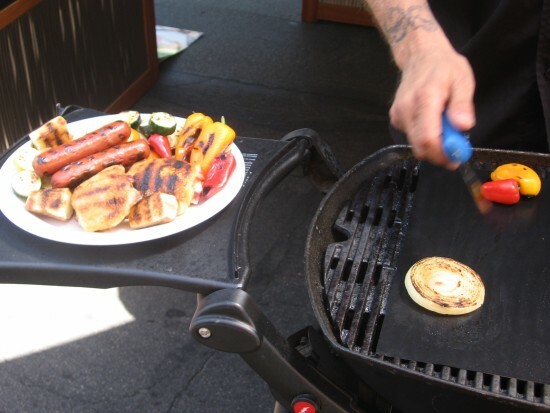 city life – Page 28 – Cool San Diego Sights! 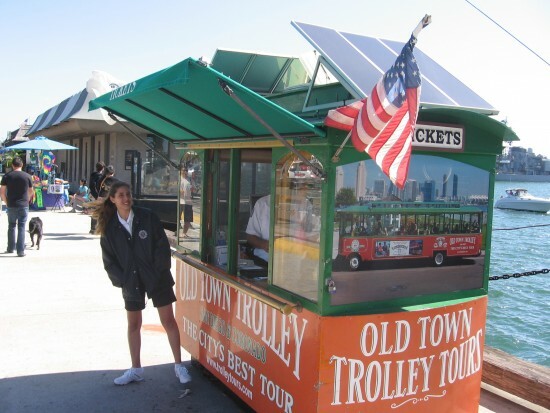 The cool America Plaza trolley station. 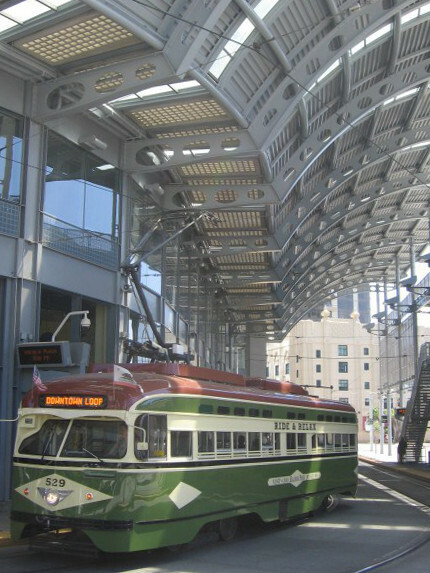 San Diego Trolley stops at cool America Plaza station. 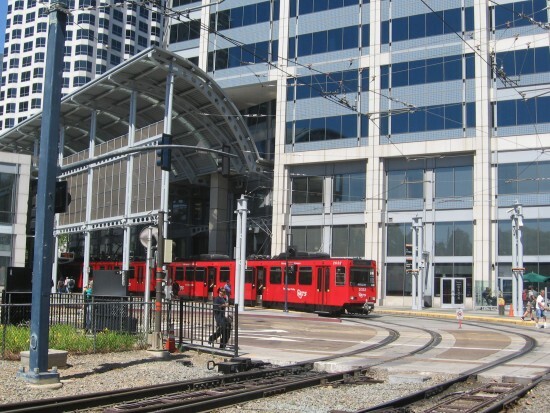 There are a few San Diego Trolley stations that are unusual and especially interesting. 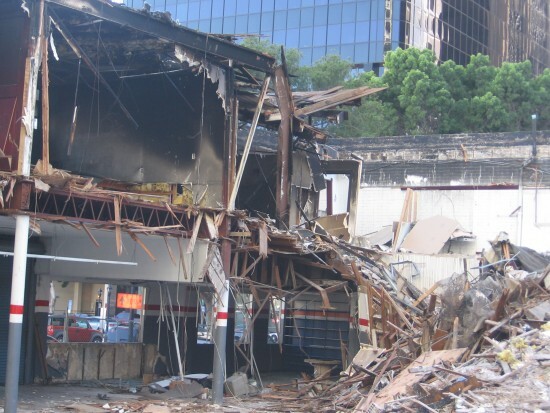 One is the partially enclosed station at America Plaza. Every busy day, long red trolleys snake through the skirt of the tall, glassy building. 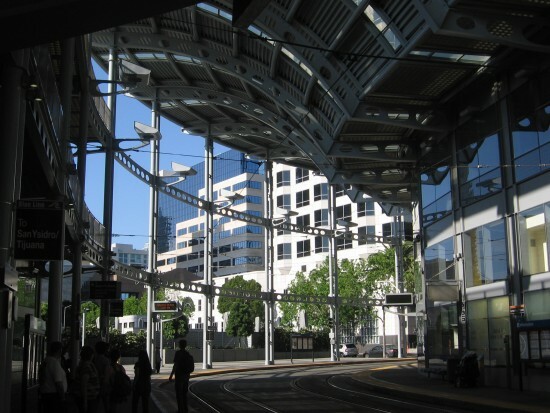 One America Plaza is the highest skyscraper downtown, and stands just across Kettner Boulevard from the Santa Fe Depot. Looking outward from the partially enclosed trolley station. Silver Line trolley stops at America Plaza. Taking a walk through the shady station on a sunny day. 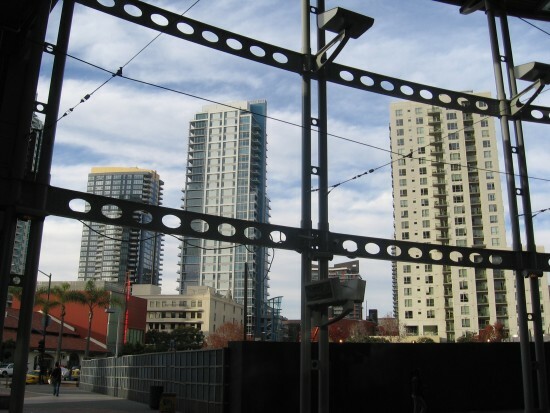 Posted on June 25, 2014 June 4, 2015 Tags architecture, buildings, city life, cool, downtown, san diego, san diego trolley, transportation, trolley, trolley stationLeave a comment on The cool America Plaza trolley station. Flag Day in downtown San Diego. 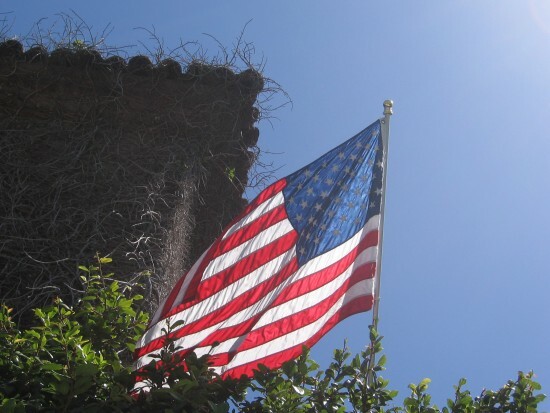 Tangled flag hangs in front of San Diego hotel. American flags top many tall office buildings. 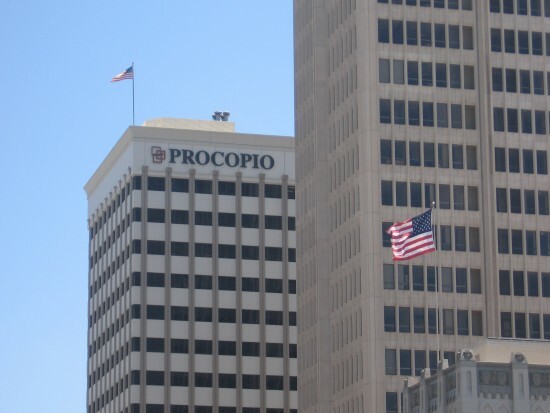 Flag Day celebrated from a modest downtown rooftop. 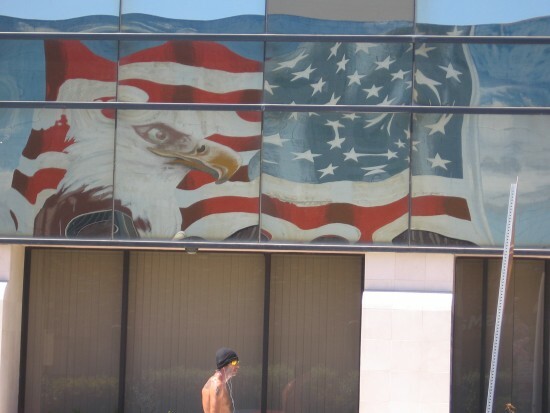 Reflection on windows of big American flag mural. 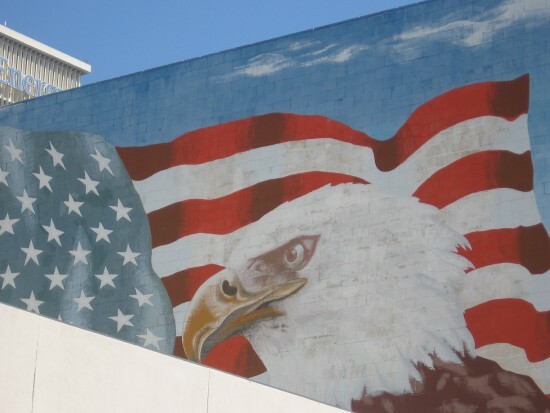 Bald eagle and American flag mural on Beech Street wall. 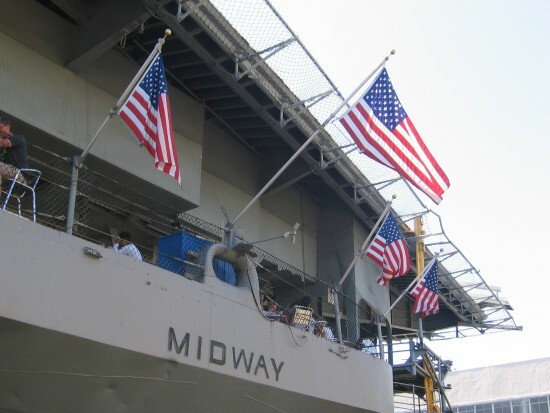 Patriotic flags on USS Midway Museum superstructure. Red, white and blue adorn cafe below USS Midway flight deck. 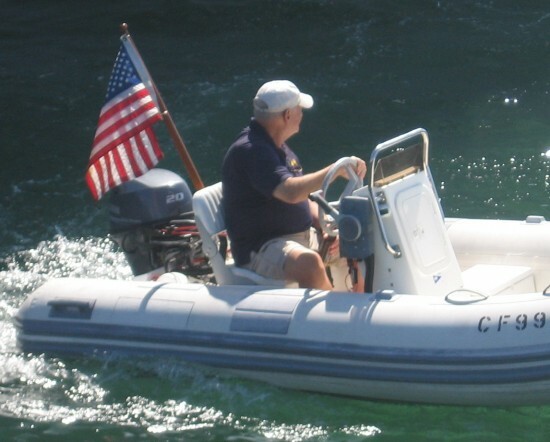 Small boat cruises around San Diego Bay with flag. 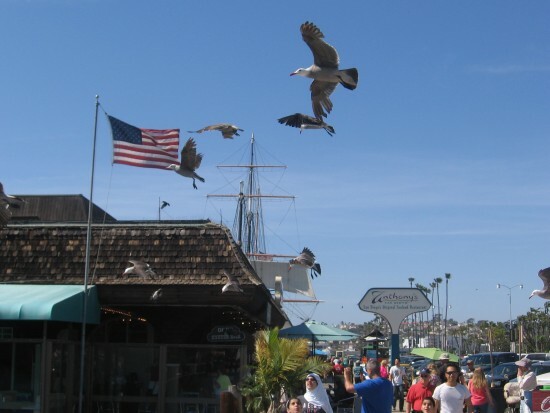 Gulls take flight by American flag on busy Embarcadero. 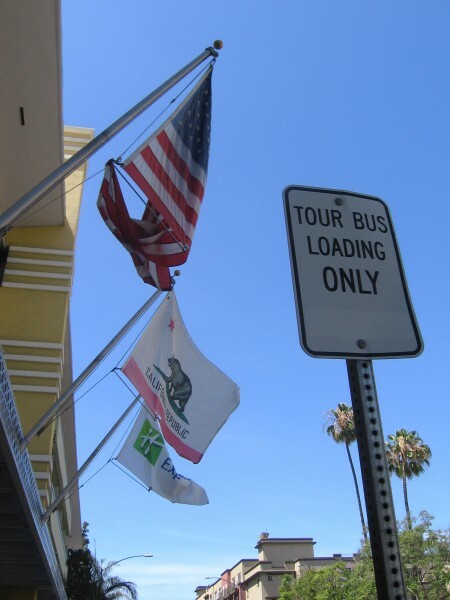 Old Town Trolley Tours booth has a flag out. 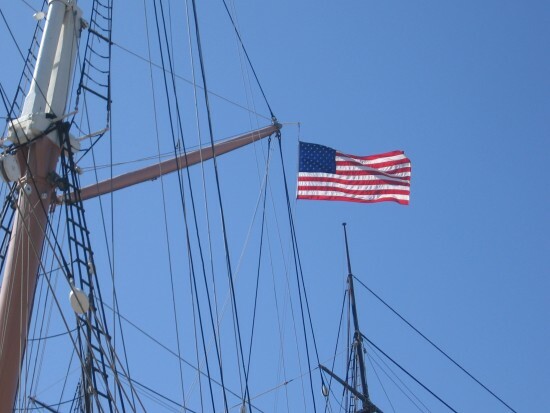 Flag flies proudly in the sea breeze above Star of India. 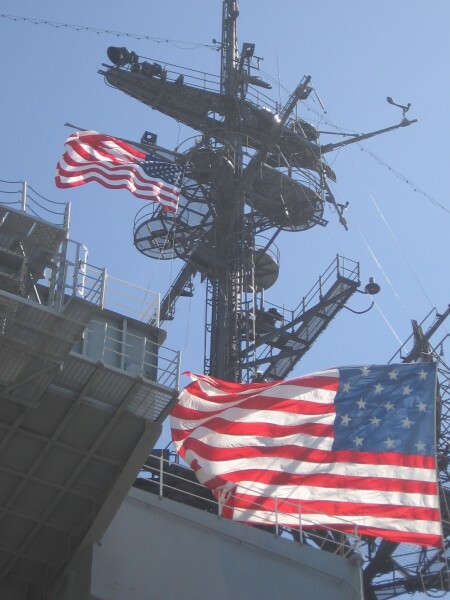 Posted on June 14, 2014 June 4, 2015 Tags aircraft carriers, boats, buildings, city life, downtown, embarcadero, flag, midway, san diego, san diego bay3 Comments on Flag Day in downtown San Diego. Dazzling colors at Little Italy’s Mercato. 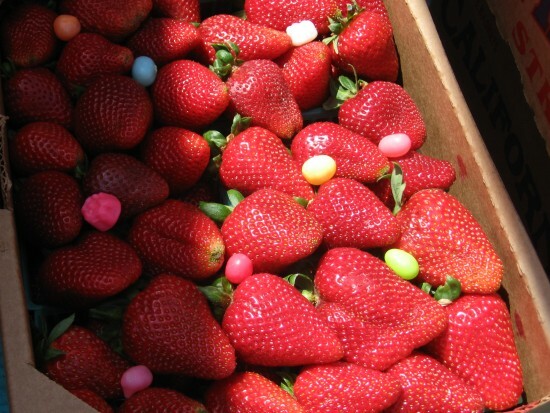 Ripe red strawberries mixed with Easter candies. 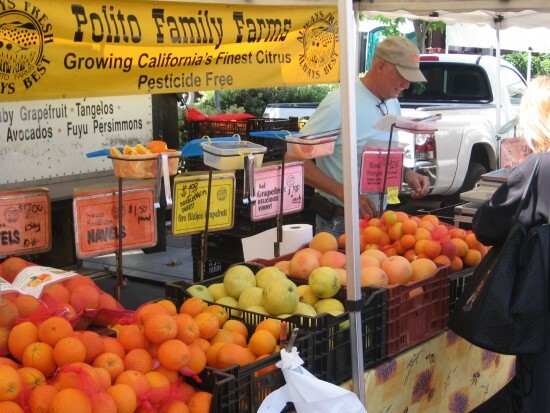 Every Saturday thousands of people converge on Date Street to take a stroll through Little Italy’s Mercato, an amazing Farmers Market that stretches half a dozen city blocks! 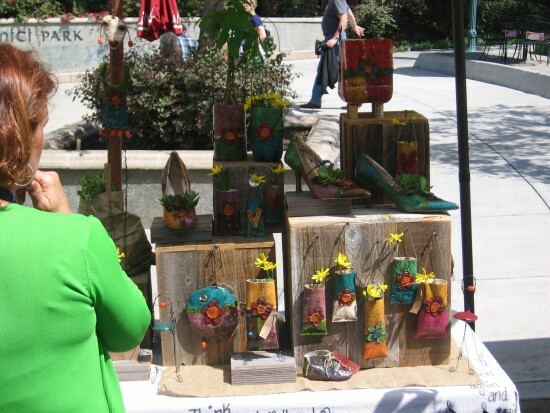 Residents of downtown San Diego and the surrounding communities mingle in the sunshine, checking out an amazing variety of organic produce, freshly cut flowers, unique arts and crafts, tasty food and live music. I took a walk through Little Italy’s Mercato this morning and was struck by the many vivid colors. There were over 150 booths to check out. I hardly knew which direction to point my camera! I hope you enjoy these cool pics. 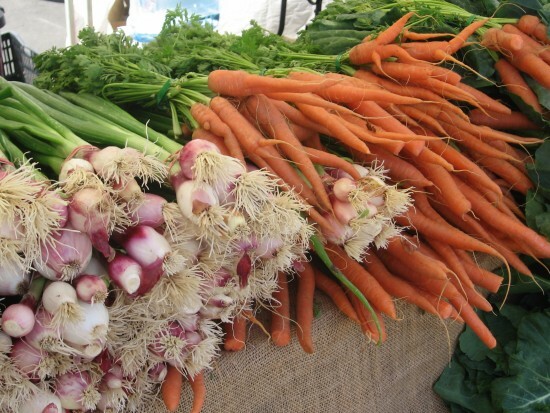 A variety of fresh produce at Little Italy’s Mercato. These brilliant colors are ready to eat! 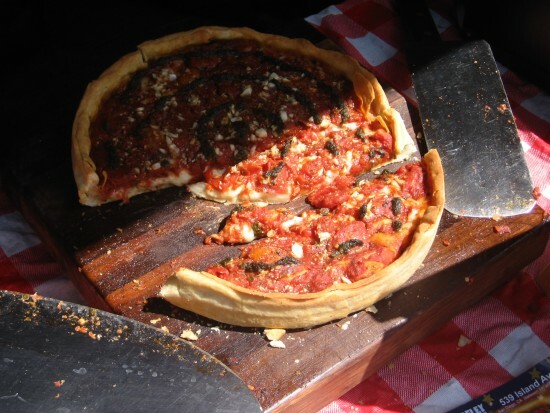 Hand-crafted pizza at Little Italy’s farmers market. Colorful crafts line Date Street in Little Italy. 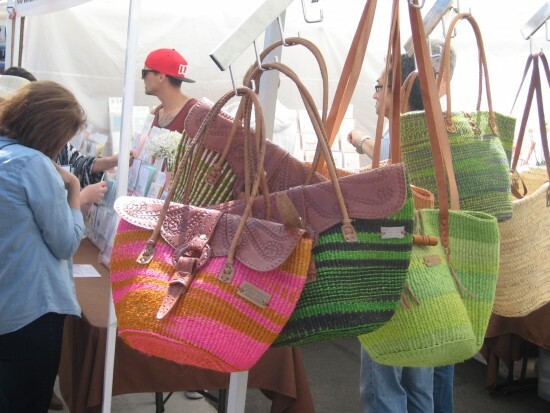 Purses of every hue at one of over 150 booths! 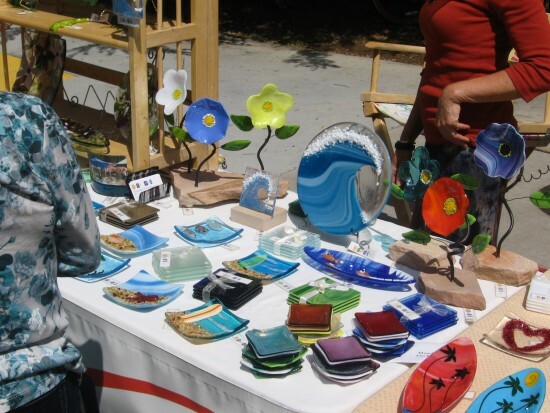 Checking out crafts for sale near Amici Park. 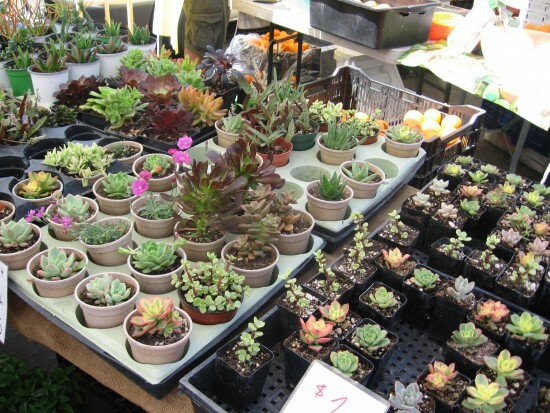 Lots of colorful tiny cacti and succulents. 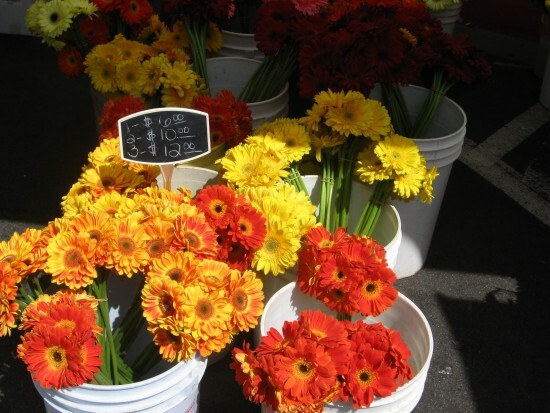 Endless bright flowers can be found at the Mercato. More tasty food in Little Italy! 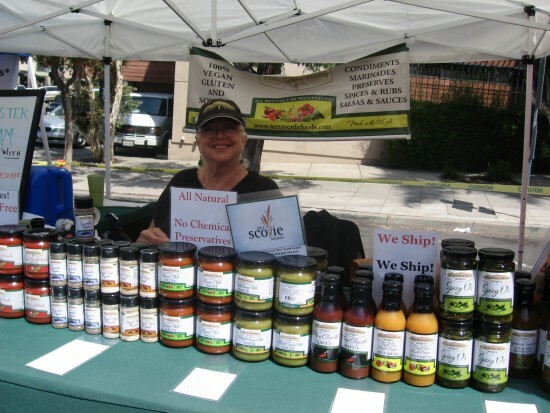 Smiling lady sells a bunch of organic preserves. 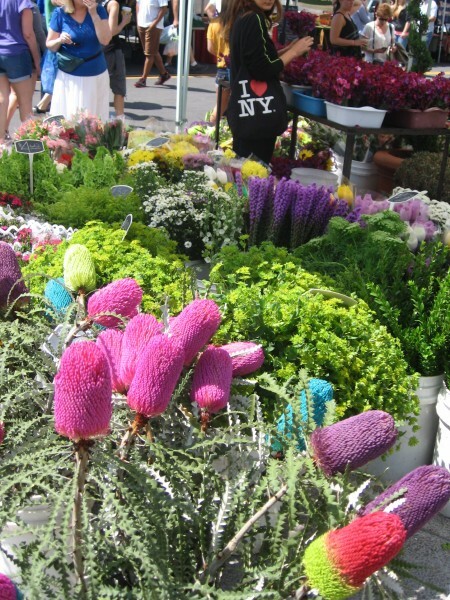 Saturdays in Little Italy are brimming with color. Posted on April 19, 2014 Tags city life, color, downtown, eating, events, farmers markets, food, little italy, people, san diego1 Comment on Dazzling colors at Little Italy’s Mercato. Morning interplay of light and shadow. 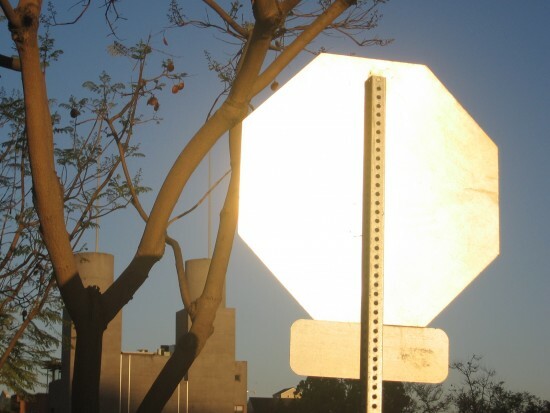 Back of stop sign flashes silver in the morning sunlight. Early yesterday morning I walked west down Cedar to catch the trolley in Little Italy. The sun had just risen above the horizon and its rays were slanting through the cityscape almost horizontally. Metal surfaces were shining and shadows were still deep. It made for some very interesting photos! 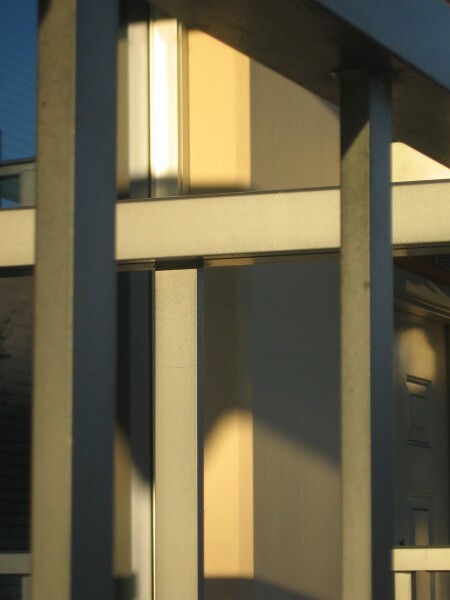 Slanting sunshine on building highlights layered geometry. Light and shadow angled and entangled. 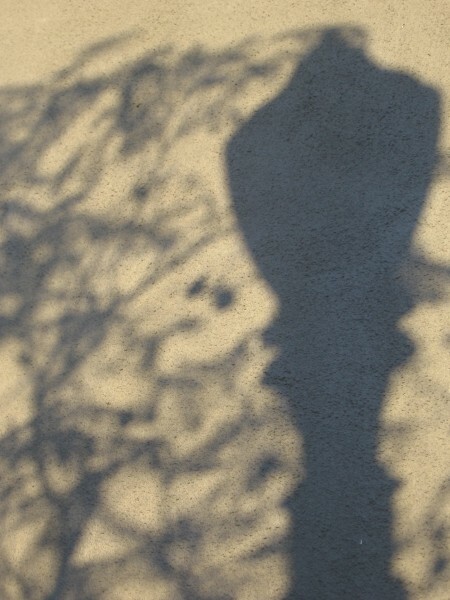 Shadows on wall cast by tree and street light. Early sunlight begins to penetrate dark places. 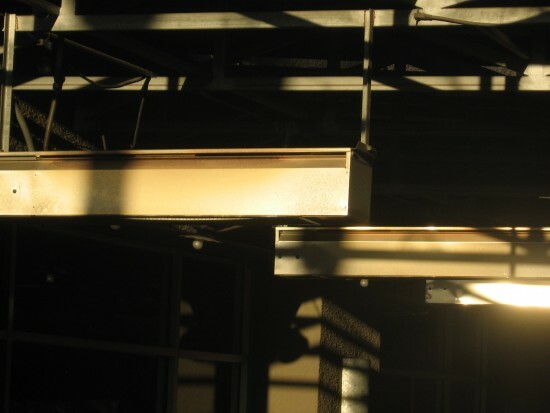 Posted on April 12, 2014 Tags architecture, beauty, buildings, city life, downtown, little italy, photography, san diego, streets, sunriseLeave a comment on Morning interplay of light and shadow. 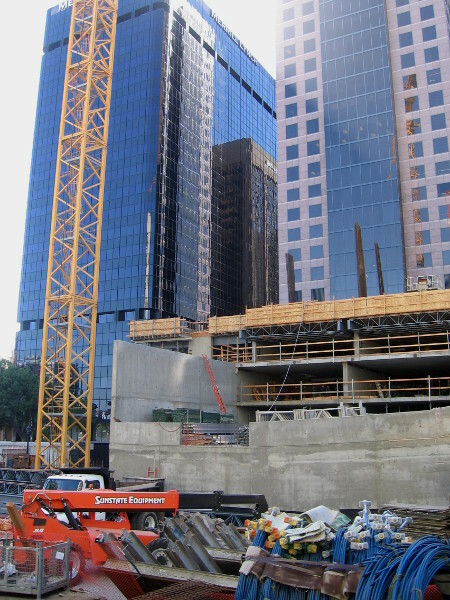 The fall of one downtown San Diego building. 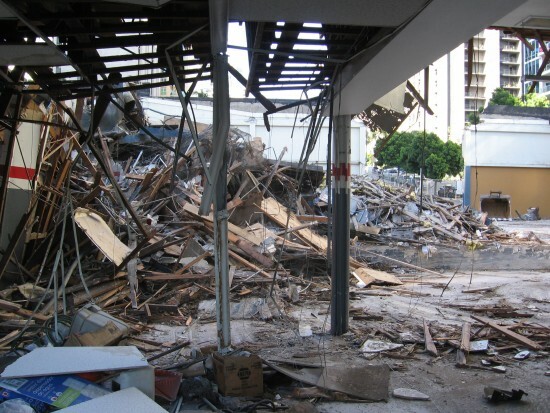 A big pile of rubble in downtown San Diego. 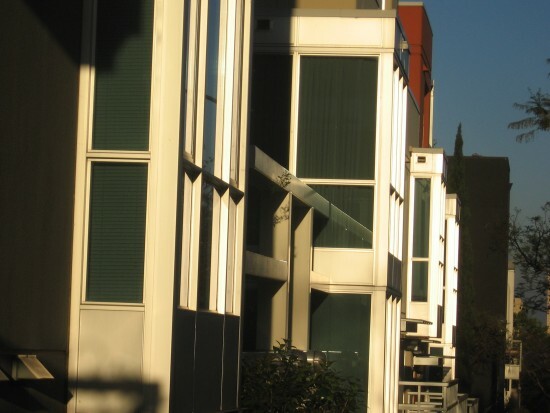 Over the years, the buildings themselves participate in this dance of life. 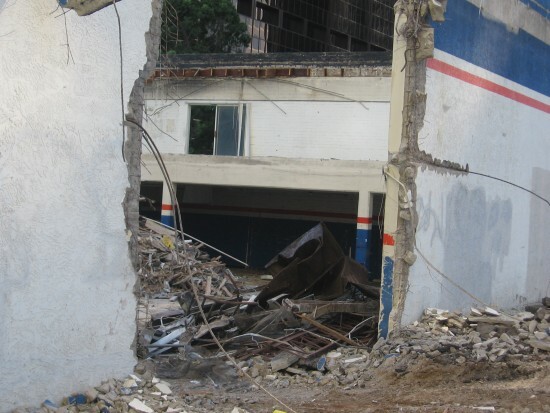 New structures rise into the shining skyline like spring flowers, and old, crumbling derelicts are torn down to make way. The now empty remains of Brake Depot on B Street. Instruments of urban destruction sit idle. Glass skyscraper shines behind a sadly destroyed wreck. A big hole in one wall of the former Brake Depot. Brake Depot is long gone. But look what’s rising in late 2015! 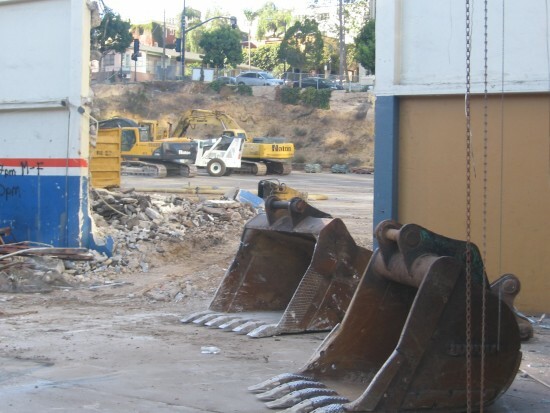 A new downtown San Diego project, called Blue Sky, is rising where Brake Depot used to be. Blue Sky will be downtown’s largest apartment building, with 939 units! 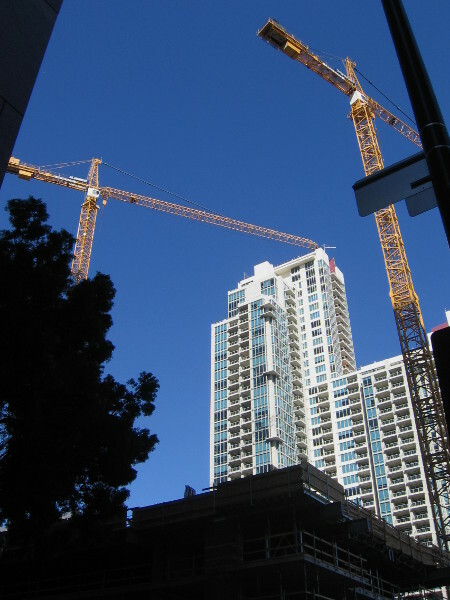 Blue Sky’s two towers will be located on B Street between Symphony Towers and Vantage Pointe (in the background), which is currently San Diego’s largest apartment complex. 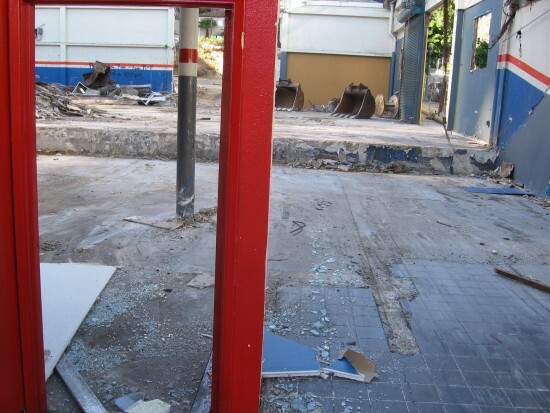 Posted on March 22, 2014 October 4, 2015 Tags buildings, city life, color, construction, downtown, history, photography, san diegoLeave a comment on The fall of one downtown San Diego building. Joshua Randle, a great musician in San Diego. 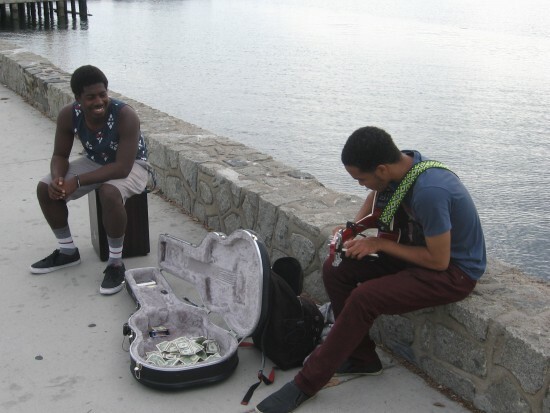 Joshua Randle and friend play music on San Diego’s embarcadero. 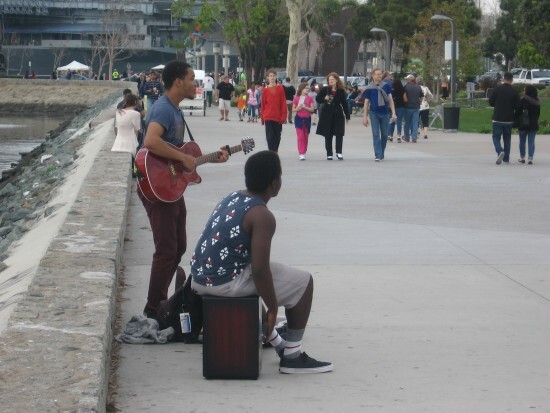 I was surprised during my walk today to hear some exceptionally good music from two young performers near Seaport Village. Joshua Randle and his friend were playing extremely polished music with outstanding vocals and providing great, energetic entertainment for everyone passing by. I have no doubt that these guys will become superstars! Please check out Joshua’s website! Joshua Randle is a talented up-and-coming singer and musician. A beautiful San Diego day and some great positive, stirring music. 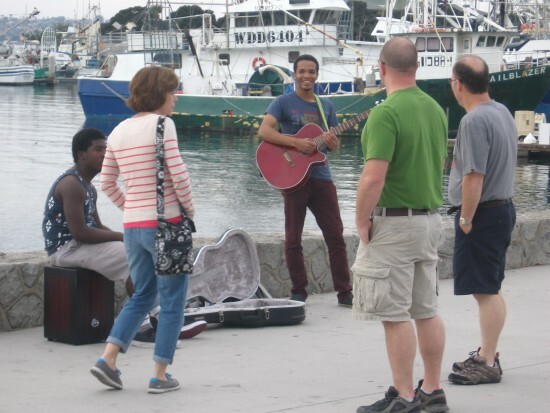 Posted on February 22, 2014 Tags city life, embarcadero, entertainment, music, musicians, san diego, san diego bay, seaport village, street performers, walkingLeave a comment on Joshua Randle, a great musician in San Diego. 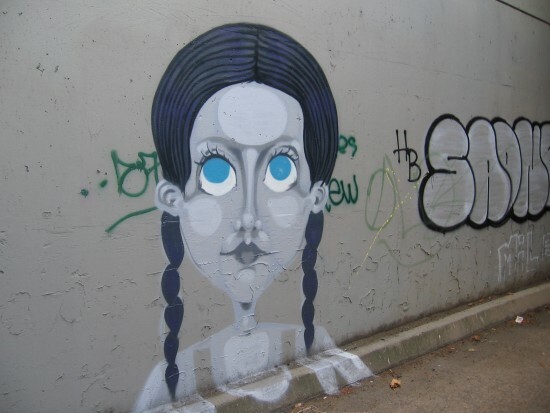 Stylish street art in a dark, unexpected place. Elegant street art found on Highway 163 underpass wall. I was surprised to discover this polished bit of street art in a place where few venture in Mission Valley: in the darkness under Highway 163, along Camino de la Reina, among graffiti and windblown litter. Joggers and the homeless pass through here, but not very often. Who was the artist? Why did they paint a stylish image in this location? It’s a mystery! The street art has been painted over! 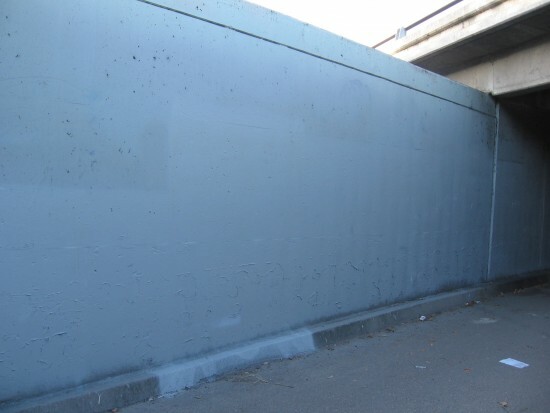 Posted on February 4, 2014 February 5, 2014 Tags art, artists, city life, cool, creativity, graffiti, mission valley, mysterious, street art, urban artLeave a comment on Stylish street art in a dark, unexpected place.